Home / FAQ / What is long term health insurance? Long term health insurance is a unique product that is different from any other type of health insurance. It is not designed to cover the cost of a routine illness or injury, as that is the domain of your standard health insurance plan. Instead, long-term health insurance is a program that provides your care beyond standard medical care, in case you are chronically ill or disabled to the point where you cannot provide even the most basic care for yourself. If you’re looking for online health insurance quotes, we can help; simply enter your ZIP code below right now. This type of care is necessary due to the individual’s inability to do basic things such as feed, bathe, and groom himself. Who provides long-term health insurance policies? Long-term health insurance, also known as LTC, is a relatively new health insurance product that employers are just beginning to offer in conjunction with their standard health insurance. There are currently over 100 insurance companies in the United States offering long term health insurance policies through groups and employers, so it’s likely that there is one offering policies in your area. You may not be able to access such a policy unless you’re a member of one of the groups or an employee of a company including it as part of its benefits package. If you are self-employed you’ve probably purchased your health insurance through a trade group, your local chamber of commerce, or strictly on your own. If you purchase health insurance on your own you’re probably going to have a difficult time securing long-term care insurance at a rate you can afford. If you purchase your health insurance through a trade group or your local chamber of commerce, they may have LTC options available to you. They should be much more affordable than purchasing a policy on your own. How much does long term health insurance cost? How much you’ll pay in annual premiums for long-term health insurance depends on the type of coverage you need and how often you access services. It’s also important to note that it is very costly insurance because of the type of care pays for. For example, according to US News and World Reportthe average cost of care for nursing home residents in a semi-private room was nearly $75,000 annually in 2010. That represents an increase of 3.5% from the year before. Private rooms cost even more. While assisted living facilities and in-home care cost less than nursing home care, they are both expensive as well. Consider an approximate annual cost of nearly $40,000 for a resident of an assisted living center and an hourly rate of approximately $20 to have the services of a visiting in-home nurse. When you add all of these costs up, and factor in the reality that the insurance companies are not going to lose money on the deal, the point quickly hits home that you could pay tens of thousands of dollars in premiums over the life of a policy if you carried long enough. If you purchase your policy early enough, say in your 20s, you should be able to get away with premiums that are affordable in the hopes that you won’t need to access the policy until you become a senior citizen. However, if you wait until long-term health insurance is needed, you can expect to pay significantly more on a monthly basis. Like any type of health insurance, there are certainly restrictions with long-term health policies as well. Normally, you would apply for a policy based on the type of care you need (basic, mid-level, comprehensive) and a daily maximum dollar amount. For example, you may need a comprehensive policy for your aging father, which pays the maximum benefit of $200 per day. Under such a plan you would be required to pay out-of-pocket all expenses that exceed that $200 daily allowance. Based on $20 per hour for in-home nursing care, you can see how that benefit quickly is eaten up. There also may be some restrictions on the types of care received under these policies. For example, your policy might not cover care needed for AIDS-related complications unless you purchased one that specifically spells that out. Because long-term health insurance is so new, all of these things are up for grabs and need to be negotiated when you first purchase your policy. Also, keep in mind that Medicare and Medicaidmay come alongside your long-term health insurance policy and hopefully fill in some of the gaps. Start searching for health insurance rates online by entering your zip code in the box below. 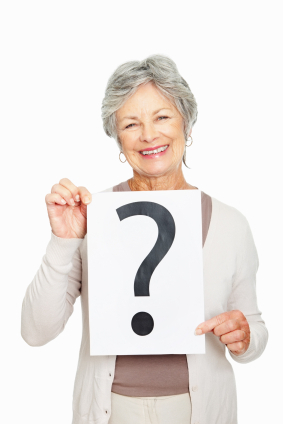 What are some long term care health insurance agencies? Where can I compare long term health insurance companies?